AnaFocus CMOS image sensor technology combines best-in-class proprietary pixel and digital-output readout circuitry, rivalling in image-quality with the finest CCD and/or CMOS image sensors in the world, with sophisticated digital logic providing with complete camera functionality onto a single-chip solution. High-sensitivity, ultra-low noise pinned photodiode pixels in multiple configurations: from VGA to 25Mpxl resolution, from 3um to 45um pixel pitch, rolling and global electronic-shutter as well as more sophisticated proprietary pixel topologies for gated sensing, time-of-flight (ToF) sensing and TDI CMOS. 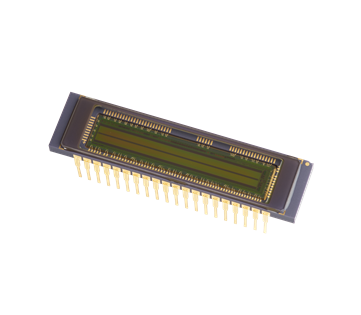 Proprietary ultra-high speed, low-noise readout channels employing single-tap or multi-tap topologies with throughput as large as tens of Giga-pixels/second and accuracy ranging from 10 to 16-bit. Low-noise on-chip voltage, current and clock reference generators minimising the need for external components. Multiple high-speed communication ports including LVDS drivers up to 1Ghz, CMOS parallel data ports, SPI, UARTs, video ports and special blocks providing sensor-to-PHY direct connectivity (no FPGA needed) for some popular protocols such as Camera Link and USB 3.0. 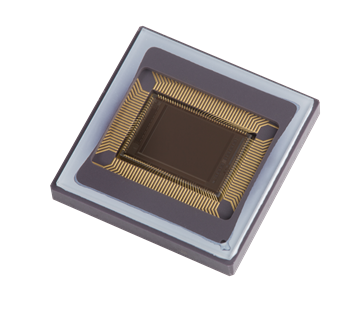 On-chip network of image processors (NoIP) performing in real-time sophisticated functions such as white balance, black balance, optical PRNU/DSNU/shading compensation… to provide ready-to-use, clear, and vivid images under the most severe working conditions. 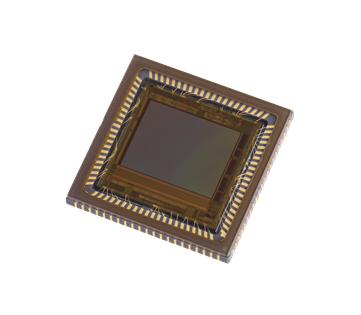 Unlike CMOS Image Sensors, Vision Systems on-chip (VSoC) are not only conceived for capturing images, but for processing in real-time such images according to an given algorithm programmed by the user and for prompting decisions based on the outcome from such image-processing. We could agree that today the cost of integrating processing capability into a digital camera is small. However the prevalent standard solution consisting of digital camera + frame-grabber + PC is still expensive due to the cost of image communication, especially in high-speed applications. In VSoC image capture and processing are placed in the same SoC, therefore the need for bandwidth in image communication is drastically reduced as only selected pieces of information (features, not full-images) are downloaded or in some cases only decisions are prompted.As image sensing and processing co-exists in VSoC, it is very easy to imagine networks of VSoC cooperating to solve complex image-processing tasks. Their inherent scalability allows joining the efforts of as many VSoC as needed, working as elements of a larger processor, to solve practically many applications.